(Note: YMMV stands for "Your Mileage May Vary") There has been an influx in recent years of meal prep and full meal services that offer convenient, local pick-up locations or complete doorstop delivery for its ever-busy working customer base. People claim to be inundated with the day-to-day doldrums to the point that putting together a memorable (or at the very least, decent) meal seems a lengthy chore. Is there not enough time in the day to cook? There must not be as we've seen these meal services thrive and have, ourselves, tried some based on invitation. Some deliver the raw ingredients needed to make a meal while others provide the entire dish as is. 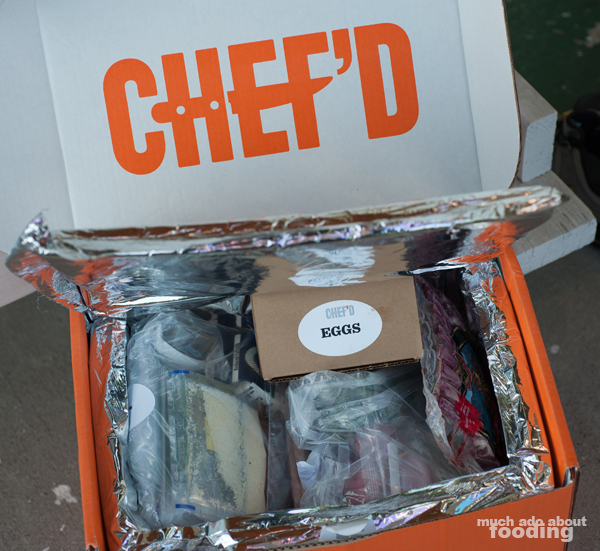 We recently heard about Chef'd because of Chef Rahm Fama whose two dishes we tried. Our experience with Chef'd? There were definitely great and poor aspects to making the two meals. Chef'd takes the stance of providing the customer with pre-portioned and individually packaged ingredients as well as a detailed recipe card to help prepare the meal. In order to interact with the meal service as true to what we perceived their customer base to be, we decided that Duc should do all of the cooking (since he doesn't cook regularly) and follow the directions to the tee. Each order of a particular meal is set for two or four portions, making it easy to have a couple's night in or make dinner for the family. Additionally, their draw is that the recipes come from well-known celebrity chefs. The online checkout process was very quick and intuitive. Once everything was ordered and processed, timely emails were sent out to confirm our chosen delivery date, our order, and what to expect when. As the date neared for the delivery, we were updated frequently on the package which arrived early in the morning, safe and sound in its well-insulated box. 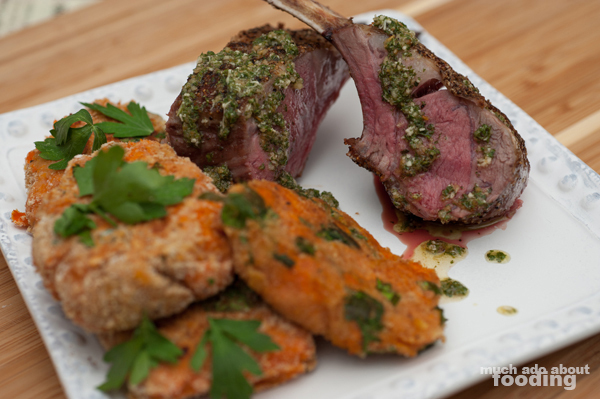 Our first meal was the Mint Lamb Chops by Chef Fama because we couldn't resist getting some lamb in. 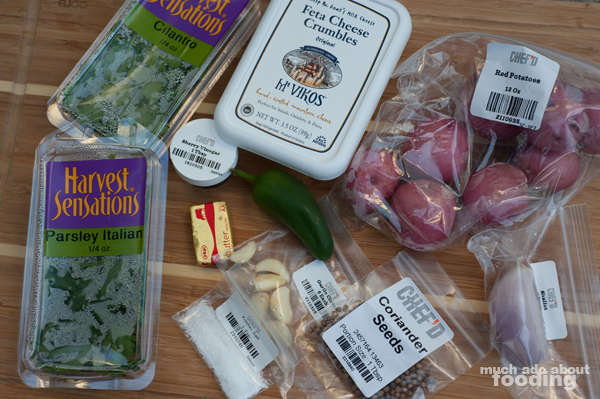 All of the ingredients were well-labeled and portioned for ease of cooking. I thought that some of the directions could have been moved around to be more efficient in the kitchen but overall, they were clear and explained enough to start making the meal. Unfortunately, the egg that came with the meal was cracked upon receipt despite various measures taken to protect it; luckily, we had our own at home to use. 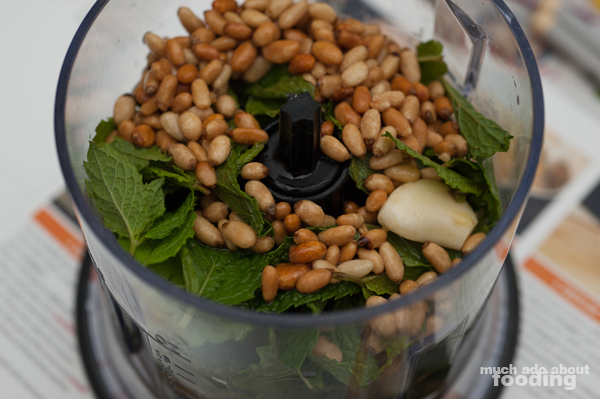 Duc noted that the mint pesto was very easy to make but that the sweet potato croquettes were not. They gave him the most trouble and ended up being very bland once finished. 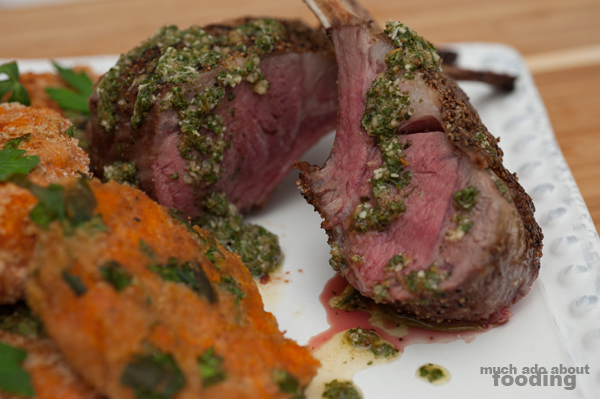 However, searing lamb was simple enough, especially when following the directions and their times exactly as written. 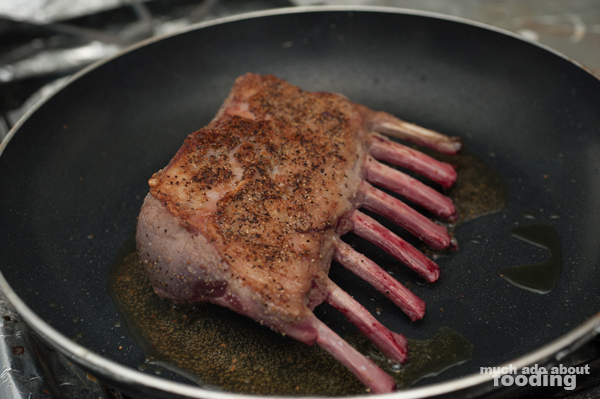 The rack was a great and memorable way to give heft to the meal. 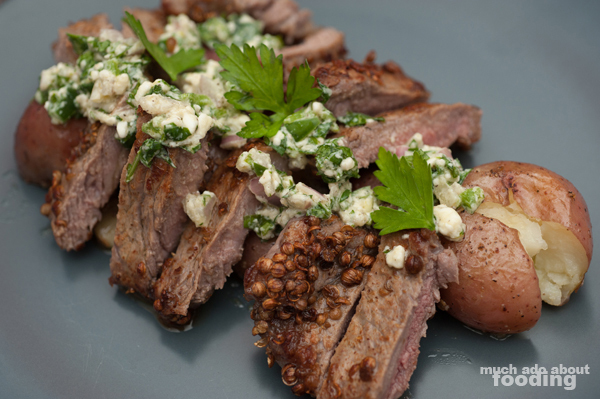 Our second meal tried was the Coriander NY Strip by the same chef. For this one, we experienced issues with the steaks themselves which had faulty packaging. However, we still managed to put the meal together. Unfortunately the directions this time, though clear, did not meet our expectations as the steak ended up being cooked to "well" instead of "medium rare" when using their time requirements. The smashed potatoes were simple to make though did not seem to add much to the meal overall other than as a starch. 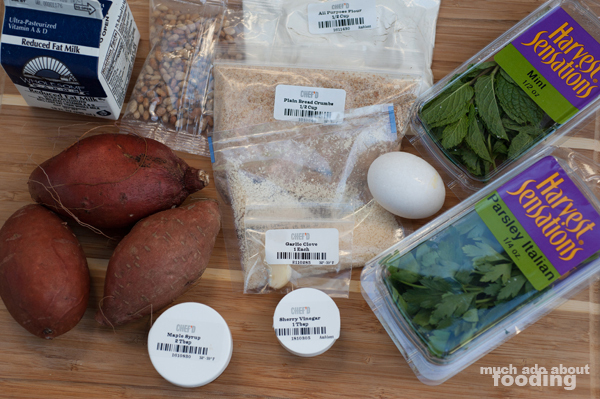 All in all, Chef'd is a fair meal delivery service that gives clear instructions and portioned ingredients. When we had the issues with the orders due to the egg and poorly packaged steaks (they leaked), they responded quickly and offered a resolution via discount code for giving them another chance to prove themselves. They do care about customer satisfaction and the food quality so that's always a plus. Since we haven't ordered again, I do not have a flawless experience to share but their prompt response was a good sign of their business model. However, I do think that this cannot be a regular meal service for a person too busy to make their own meals; the price range is a tad higher than most others (our meals were $36 and $34 respectively) and the skill level required is above novice. Duc had some difficulty getting everything together as a novice but at least the directions made sense. 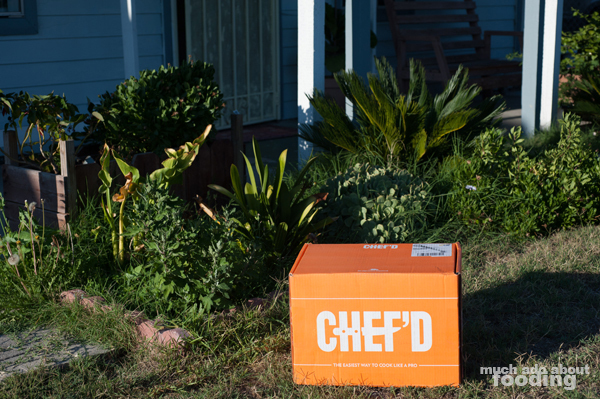 Want to give Chef'd a try yourself? Click here to get $10 off your first order!